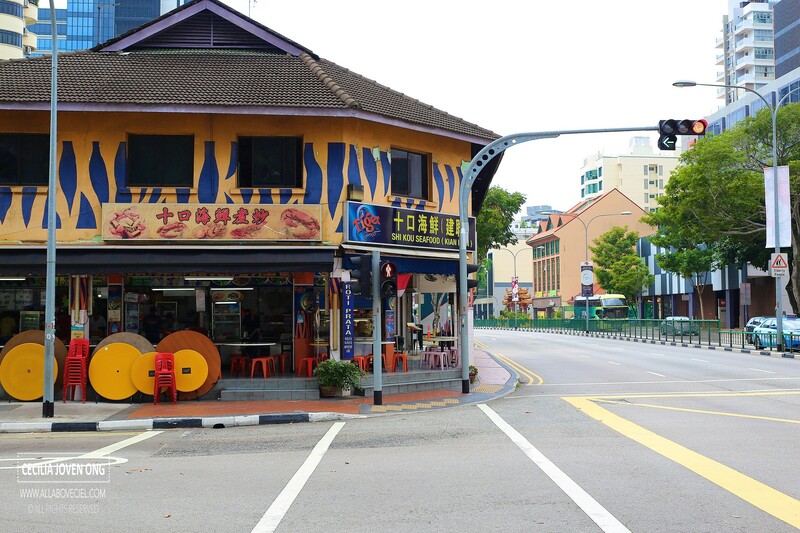 Kim Bak Chor Mee is located in the coffee shop at the junction of Ah Hoon Road. 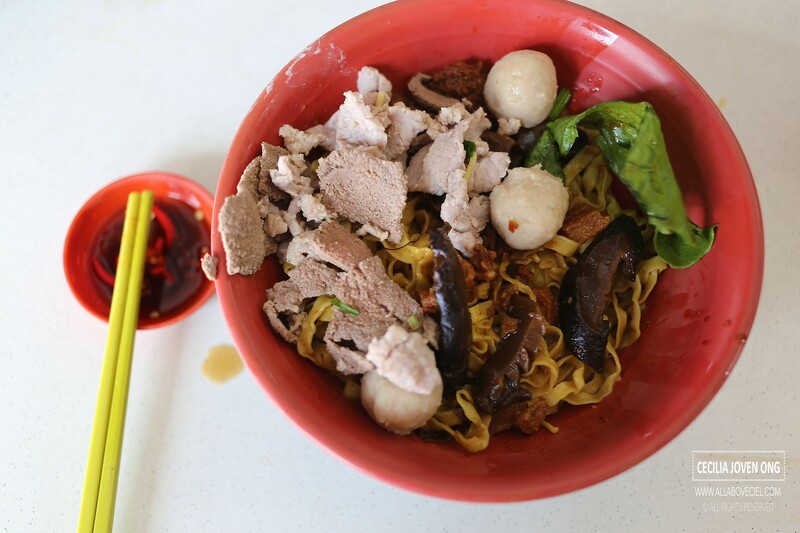 The owner, Mr Ng, he insists in eating his own noodles everyday to ensure the consistency of his Bak Chor Mee. 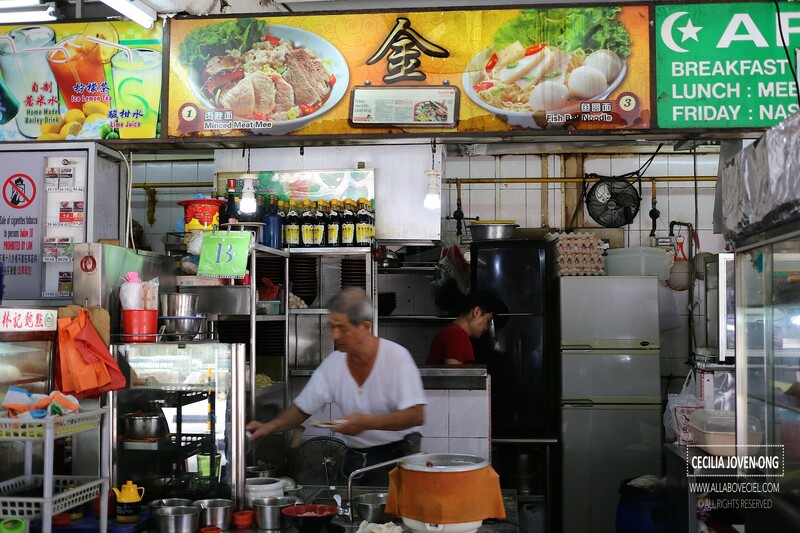 He started working as a helper in the kitchen at about 11 years old before he started Sing Hing Seafood Bak Kut Teh at the already demolished Lakeview Food Centre along Thomson Road. That is how he got his name of Mr Bak Kut even after he stopped selling Bak Kut Teh for a while now. His regular customers then are still coming back to support his Bak Chor Mee. The ingredients consist of sliced pork, minced meat, pork liver and meatballs were served separately in that bowl of hot soup. The purpose is likely to intensify the natural sweetness of the soup deriving from those ingredients but by doing so, it will also ended up overcooking the pork liver. The first thing after i done shooting the pictures is to remove all the ingredients from the soup and placed it with the noodles. The mee pok was cooked just right to give it the desired springiness and firmness, it was then tossed with the fried pork lards, chilli and the sauce mix. The fried pork lards tasted slightly burnt on that day, a little oily and not as crispy too. 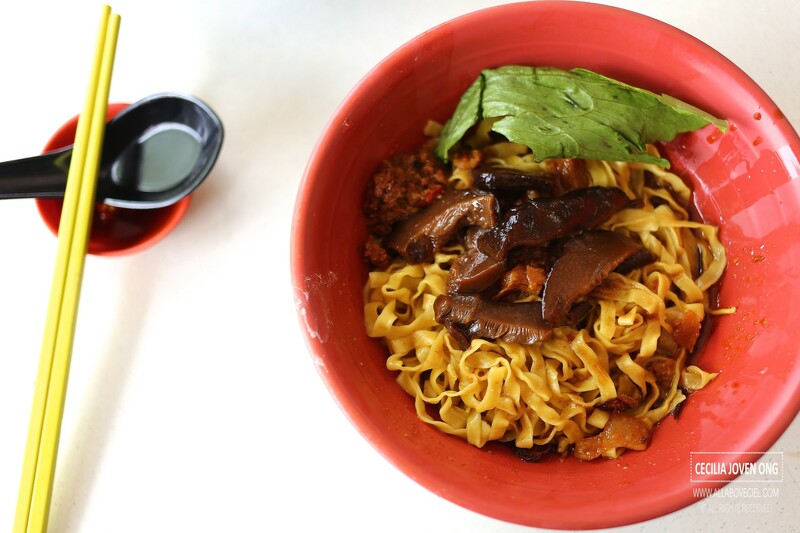 Their chilli might be the factor that distinguished this Bak Chor Mee from others. The chilli tasted quite different, it has a distinct dried shrimp taste that added flavor to the noodles. The dash of vinegar added was just right to enhance the flavor and not overpowering it. I am not a fan of vinegar and i often asked to have it left out. 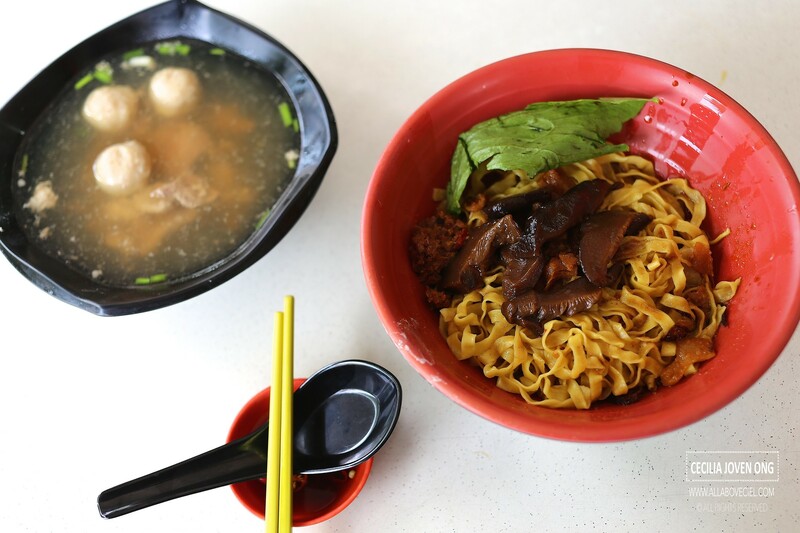 Overall, it did not taste too bad but it is not as good as Joo Heng Mushroom Minced Meat Noodle that has already closed down. It is not the best Bak Chor Mee as claimed by some and it is not even in my top 3 for Bak Chor Mee. Yet again, taste is subjective.